This leaves homeschool as the last educational option to be examined. Homeschool makes sense for parents who want to provide their children with a Christian education but cannot find or afford a good Christian school. Homeschool is extremely affordable, though it requires extensive parental oversight. Homeschool is therefore usually chosen by more traditional families where the mother stays at home with the children. Homeschool directly applies the commands of Deuteronomy 6:4-9 and Ephesians 6:4 for parents to teach their children and provide them with a Christian education. The obvious alternative to public school is a private Christian school. Does a Christian school provide children with a Christian education? The answer should be yes—but it actually depends on the school. Sadly, many Christian schools are Christian in name only. Statistics suggest that almost 90% of Americans send their children to a public school, and this includes many Christians. 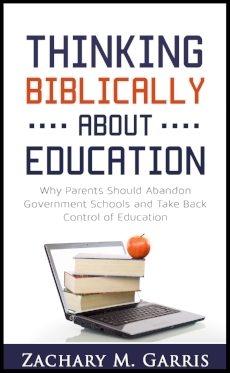 Let’s begin by asking the question—can Christian parents provide their children with a Christian education if they place them in public school?